Notes: Somewhat coarse weave. A sweet rendition of a 'majid' or mosque with stars twinkling in the background. 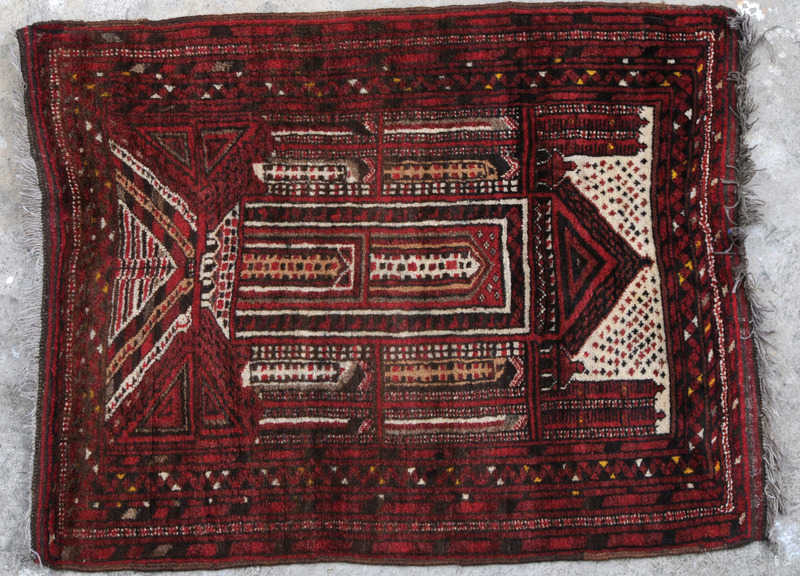 A prayer rug.